The Office of Student Services in the College of Sciences and Mathematics (COSAM) recently held a Research Opportunities Fair for COSAM students to showcase research opportunities available to them throughout Auburn University. Representatives from COSAM labs that included Biological Sciences, Chemistry and Biochemistry, and Geosciences were available with information on research opportunities at the event along with the Harrison School of Pharmacy, AU College of Veterinary Medicine and Edward Via College of Osteopathic Medicine (VCOM). 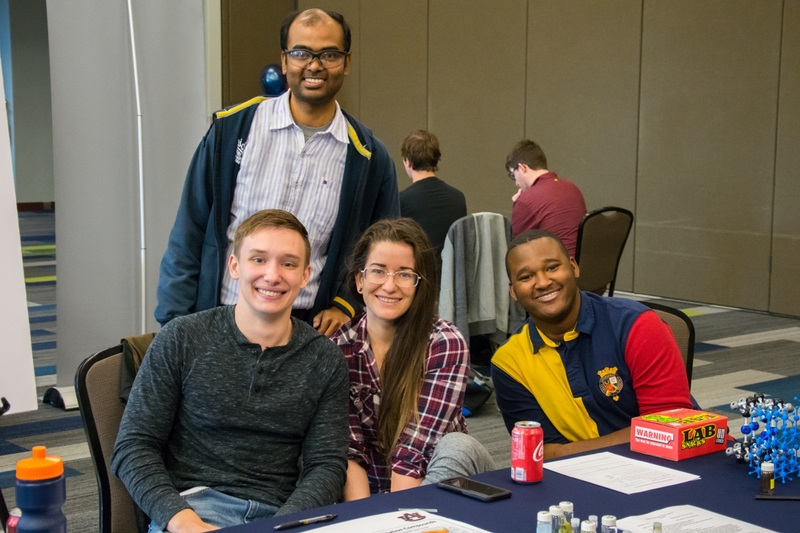 The event, which took place on February 12 in the Student Center Ballroom, was first held last spring for the Department of Biological Sciences. This year, the fair was open to additional departments. This year, 21 labs from the three COSAM departments and the professional schools were represented. Ashley Armas, a sophomore studying Biomedical Sciences/Pre-med, thought the event was helpful. Dr. Doug Goodwin, an associate professor in the Department of Chemistry and Biochemistry, said he regularly hires undergraduate students to work in his lab and the Research Opportunities Fair was a nice opportunity to find interested students. Crider added that the Research Opportunities Fair was an overall success and, although there are not yet any concrete plans for a fair next year, several students have inquired about having the event again. Auburn University students at this year's research fair excited to showcase their research to undergraduate students.